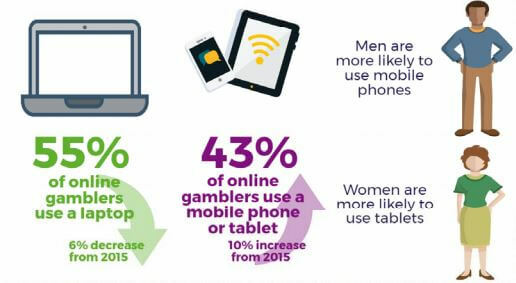 Did you know that nearly half of all online gamblers access slots and casino games on their mobile? Read this guide to get the best tips on how to play on mobile, what slots are available and how to get the most out of your gambling experience. In the year ending March 2017, online gambling platforms produced a gross gambling yield (GGY) of £4.68 billion. This translates into a total market share of 34% and an increase of 1.5% on the previous years’ figures. Experts expect this trend to continue indefinitely in the near-term. There are a couple of factors at the heart of this evolution, including the rise of mobile gaming. In 2016, the use of mobile or tablet devices for the purposes of gambling showcased year-on-year growth of 10%. It’s estimated that 43% of players are now accessing casinos through this medium. At the same time, virtual slots have become the heartbeat of the online gambling market during the last decade. In fact, slots accounted for nearly two-thirds (64.5%) of online casino GGY last year. With these points in mind, there’s little doubt that mobile slots represent huge business for virtual casino platforms in the digital age. What’s the Difference between Online and Mobile Slots? Whether you’re a casual or professional gambler, you’ll need to identify the best channel through which to access virtual slots. This ultimately comes down to a choice between online and mobile channels. There are various factors to consider if you’re to make the right decision. Let’s start with the definition of mobile casinos, which can usually be accessed through two distinct means: apps and responsive web sites. 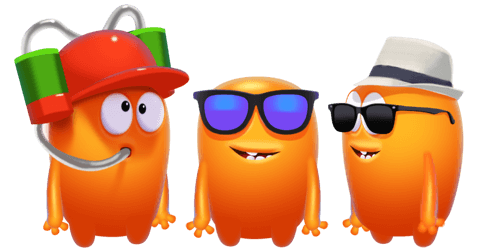 The first of these is a standalone mobile app, which can be downloaded to your handset solely for the purpose of playing your favourite games. Apps are typically dedicated tools that have been developed by established UK casino operators. They tend to feature the type of responsive design and menu structure that optimises the mobile gambling experience. There’s no doubt that apps have taken the mobile gambling market by storm since the market’s inception in 2007. In fact, gross annual revenue across the entire app market is expected to peak at $189 billion in 2020, with mobile casinos accounting for a significant percentage of this. It’s also possible to access virtual slots through mobile browsers such as Google Chrome, Firefox and Safari. These browsers operate in a similar way to desktop alternatives. To access an online casino, players are required to type in the desired casino address and wait for the page to load. The issue here is that the gaming experience can be hindered on mobile browsers, due to issues surrounding a lack of responsive design and slow page loading times. According to Machmetrics, the average load time for a mobile landing page is 22 seconds. This does not sit well with the fact that 53% of customers abandon pages that take three or more seconds to open. 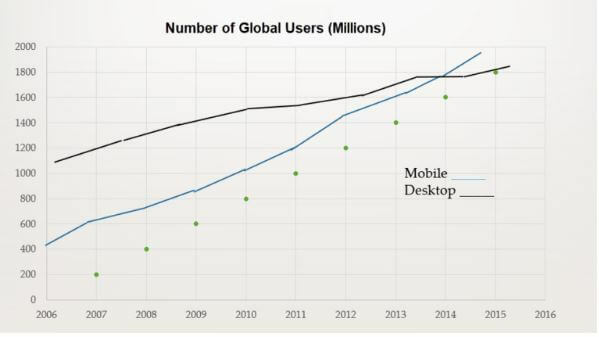 This also partially explains why mobile slots are becoming more popular than online games. Desktop browsers face similar problems in terms of responsive design and slow loading times. Loading times is exacerbated by the fact that websites and online platforms use web servers when storing data. This can impact on the speed of data retrieval while also presenting significant security risks. A streamlined and well-designed mobile app can perform specific actions and retrieve data with far greater efficiency, as data is typically stored locally on individual devices. Mobile casino apps can also help users to save additional time by storing their unique gaming preferences, before using these to take proactive steps on behalf of players. While the advent of app technology has certainly boosted the appeal of mobile slots, gaming through smartphones and tablets offers a number of advantages to players in the digital age. These not only underline the core difference between mobile and online slot gameplay. They also highlight how technological advancement has triggered a decisive shift in player behaviour over time. We’ve broken down these benefits below, while asking how they distinguish mobile slot gameplay from the online alternative. Make no mistake; today’s extensive library of mobile slots have certainly benefited from the fruits of innovation. New tech inventions have impacted on the hardware of the devices that we use to access mobile slots. Today, mobiles are capable of creating a visual and audio experience that is at least equal to console and desktop gaming. The history of mobile gaming graphics is short but eventful. The first 3D titles only launched as recently as 2003. The technology behind mobile GPUs (graphics processing units) began to grow exponentially. Two years later, the market was flooded with devices that could support three-dimensional graphics and animation. The Mali-400 GPU remains the standard bearer for excellence in this respect. The component is still featured in 20% of low-power mobile devices available today. Powerful GPUs was the first in a long line of innovations that significantly improved mobile gaming graphics. The recently released Mali-G71 is now powering the next generation of 3D of VR slot titles. New innovations in screens, CPUs and GPUs allow for increasingly authentic 3D graphics. It has also improved the animation of mobile slots beyond all recognition. It’s now possible to enjoy an immersive and realistic casino experience through your tablet or smartphone. Today’s generation of smartphones also boast increasingly large screens and advanced display technology, which allow for games to be displayed with greater clarity and a higher resolution. The majority of high-end gaming smartphones and tablets now feature some iteration of AMOLED screen technology. Thin screens enables manufacturers to create thin and lightweight devices without compromising on the brightness of the display. With the advent of Super AMOLED technology, slot gamers can also access far clearer images and superior subpixel construction. Not only this, but handsets are now being designed with 120hz displays. A high-performing display allows for rapid scrolling and optimises the quality of in-game motion and animation. These unique elements make for a winning combination. Handsets now offer a more comprehensive gaming experience when compared with standard online channels. On a final note, it’s important to recognise how virtual reality (VR) has the potential to elevate mobile slot gameplay onto an entirely new level. Just last year, prominent developer NetEnt unveiled its intentions to launch the world’s first real money VR slot game on the mass market, with this due for release at some point in 2018. This pilot will be based on the enduringly popular Gonzo’s Quest franchise. And it will surely blaze a trail for others to follow in the market. VR headsets such as Samsung Gear will make these games accessible to mobile players. Now, players look to create an authentic casino experience in their own living room! When appraising the graphical capability of smartphones and tablets, there’s a number of factors that have combined make mobile gaming so appealing in the modern age. Individual mobile specifications such as screen size and resolution may not compare favourably with desktop alternatives. But the overall package offers far greater value to the current generation of gamblers. The same can be said for usage. Particularly when you consider how mobile battery technology has improved in recent times. The vast majority of modern handsets feature batteries with an average power capacity of between 2,800 mAh and 4,000 mAh. The Razer phone was designed and marketed specifically as a dedicated gaming device and is sitting at the higher end of this spectrum. Devices such as this have closed the gap on the battery performance of laptops, which are typically manufactured with capacities ranging from 4,400 to 5,800 mAh in the mainstream market. If the current design trends continue, there’s no doubt that we’ll see the battery capacity of premium smartphones supersede low-end laptops at some point in the next few years. While it can be argued that laptops still hold the edge in terms of basic battery performance, it’s important to remember that mobile slot players have the opportunity to access their favourite games while on the move and at their convenience. Whether they wish to play during their commute to and from work or while stuck in a long queue, gamers can indulge their pastime whenever they choose. This creates the ideal balance between convenience and practicality. Players can access their preferred casino apps at any time without running the risk of draining their battery and missing out on big cash prizes! While slot gaming is fun, it’s also a serious business in so much that you have to enter your personal financial details in order to deposit and withdraw money. This creates a pressing need for security, and in this respect mobile apps can offer an advantage over websites and standard browsers. This is thanks largely to the advanced cryptographic hardware that is universally built into smartphones, which automatically lends itself to greater security and peace of mind. Similarly, we tend to have far greater awareness of our smartphones as we use them constantly, whereas the same cannot always be said for laptops. Phones also tend to have a single primary user and basic password authentication, which minimises the risk that others will access your device and compromise your data. Some casino apps may even feature two-factor authentication, which creates multi-layered protection that is difficult for opportunistic hackers to breach. Always avoid logging on to mobile apps while using a public network. This may place your personal and financial information at greater risk. Fortunately, the development of 4G connectivity means that smartphone users can access their favourite slot games securely through their mobile Internet providers, negating the need to use risky or unsecured networks. The development of 5G connectivity is also well underway, with a UK roll-out expected before the end of 2020. This will enhance mobile and app security even further, while minimising the temptation to connect using public networks. What are the Best Casinos for Mobile Slots? Given the popularity of virtual and mobile slots, it stands to reason that there should be a number of casinos that offer a huge array of titles. The competitiveness of the mobile gaming niche has also translated into increasingly innovative and lucrative bonus offers, many of which are targeted at smartphone users and avid slot gamers. With this in mind, highlighting the best casinos for mobile slots can be challenging. Casumo is established as one of the top virtual casinos on the market, and one that boasts a significant presence in the mobile realm. It certainly features one of the best selections of mobile slot games available, including an impressive range of progressive jackpot experiences. Featuring the iconic jackpot slots Mega Moolah and Hall of Gods, these games regularly offer prizes of seven or eight figures while players can also watch as each jackpot increases in real-time! 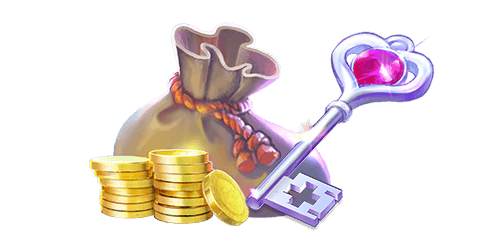 Casumo also offers a range of carefully targeted and regularly updated offers, while catering to the needs of both new and existing players. Currently, new registrants can receive a 100% deposit value up to the value of €1200, along with 200 free spins courtesy of the house. Recent offers have also included 100% deposit matches up to £300, with 20 free spins also made available on a minimum deposit of €10. These offers are always well thought out and accessible in real-time, making them ideal for players on the move. 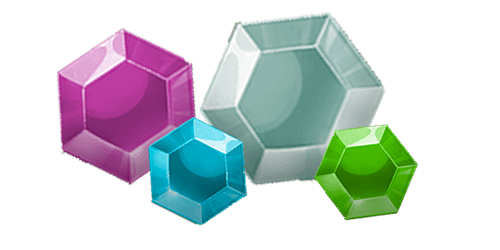 These represent exceptionally generous incentives for players, which reflect the foresight of the brand and its customer-friendly focus. Next up is the Guts casino platform, which may well offer the best and most satisfying mobile casino experience on the market. Players on the move will certainly appreciate the advanced nature of the casino software available, which translates into a responsive and easy to navigate interface (no matter what device you’re using). Most importantly, this observation also holds true across both Android and iOS platforms, which is not always the case when dealing with mobile casino apps or websites. The experience is certainly among the most immersive and interactive out there, while there’s also a diverse range of slots available to casual players. Guts currently has a generous promotion underway too, which a 150% deposit match being offered up to the value of €150. At the same time, the brand is currently new registrants 50 free spins on its flagship slot game Big Bad Wolf, although this may only be available for a limited time. Regardless, this mobile casino is definitely one to consider, especially if you’re a casual player in the market primarily for a good time. As the name suggests, Sir Jackpot is a high rollers’ dream, with a number of slots available to optimise your potential returns. In fact, several games available on this platform offer regular prizes of six, seven and even eight figures. However, this mobile casino also features a healthy selection of low and mid variance slot games, including stellar favourites such as Leprechaun Hills, Treasure Island and Jewel Blast. The aforementioned Big Bad Wolf is also available as part of this large and diverse library, while this iconic slot game is also at the centre of the brand’s current promotional offer. More specifically, new players who register with the casino will receive a generous 200% deposit match up to €100, along 20 free spins on the Big Bad World slot. 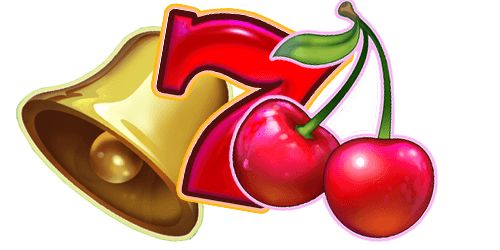 This is part of a wider bonus that offers 150 free spins across all listed slot games, which is something that should appeal to both casual and serious gamblers alike! Is it Easier to win on Mobile Slots than Online or Land-based Alternatives? The return available through each slot game is determined by its RTP (return-to-player) rate. This also reveals the house edge boasted by the casino operator in question, offering a clear insight into the risk-reward profile associated with each individual slot. It’s also mandatory that this information is published by operators for each game, so you should definitely keep your eyes peeled for this when comparing slots. RTP makes it easier to calculate your potential returns when playing mobile slots. Does this channel afford you a better chance of winning when compared with online or land-based games? 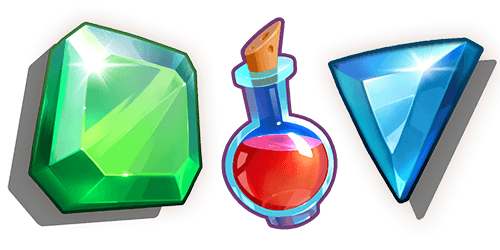 In truth, mobile and online games should be banded together in this respect, as the RTP rates available to players are largely unchanged across these two platforms. Both mobile and online platforms offer an array of low, mid and high-variance slots, for example, with the former boasting frequent base game wins of relatively modest value. These games typically offer an RTP rate of between 96% and 97%, meaning that players will recoup up to £0.97 for every £1 that they spend on average. Those with an RTP rate of 97% or above are slots with high RTP, and are ideal for casual or novice gamers who have an aversion to risk. Conversely, high variance games (which include progressive jackpots) provide fewer successful base game spins overall, while saving the really big wins for a lucky few players. So while players are more likely to land hefty cash prizes during these games, the average RTP rate available is between 92% and 94%. 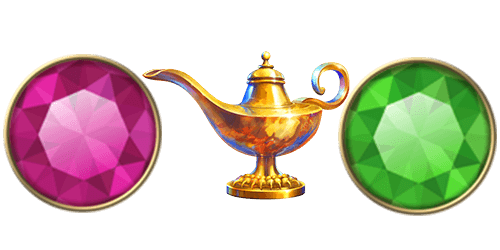 Mid-variance games sit somewhere between these two extremes, offering a balanced gambling experience and an estimated RTP rate of 95%. The RTP between online slots are generally higher in comparison with land-based slots in casinos and gambling halls. This is due to the additional cost bases associated with land-based machines. This includes fixed operational prices and general overheads, which require owners to reduce the RTP rate and maintain their profit margins. So, while both virtual and physical slots rely on entirely random number generators to determine outcomes, the typical RTP rate for bricks-and-mortar games is fixed at around the 90% mark. This is far lower than even high-variance mobile slots. And it makes you far more likely to win (and win regularly) when playing through a smartphone or tablet. Throughout the piece, we’ve considered the numerous advantages associated with playing mobile slots. However, one thing we haven’t covered in depth is the sheer diversity of slot games available on mobile devices. Developers continue to create experiences that are tailored for smartphone and tablet gameplay. From classic three-reel slots to progressive jackpots and fluid games with up 243 flexible paylines, you’re likely to find a larger and more eclectic range of titles when accessing a mobile casino app. To compliment this, operators are also focusing more of their most generous and targeted casino bonuses online, creating a win-win scenario for players and brands alike. Another potential perk of mobile slot gaming is that casinos and apps tend to offer 24/7 customer support to their players. This relies on the deployment of live chat features alongside more traditional communication methods such as email and telephone, enabling you to settle your queries and disputes in a matter of minutes rather than days. As part of this, a growing number of these casino sites are offering mobile phone billing and flexible payment options to players. You are now allowed to transfer money with a single tap of the screen. You can even connect your mobile casino account to a preferred e-wallet. This helps you rely on advanced security measures to manage your bankroll safely at all times. Many of these benefits are impactful enough by themselves, but when combined they form part of an immersive mobile slot gaming experience that has become formidable during the last 10 years. From the technology behind modern mobile devices to the convenience, security and quality of gameplay that they offer, it’s little wonder that smartphones and tablets are now the weapons of choice for those looking to play their favourite virtual slots!